The Chinese technology giant, Xiaomi has unveiled a new smartphone in under the budget segment, the Xiaomi Mi 4s, at an event in Beijing, China. 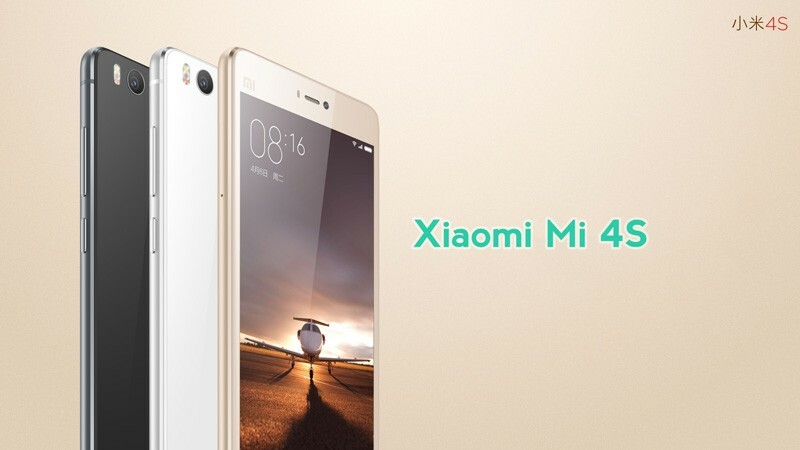 The Xiaomi Mi 4s comes with decent specs for mid-range smartphones. The Xiaomi Mi 4s has enhanced its hardware specs when compared to its last year’s Mi 4. Xiaomi Mi 4s sports a new processor from snapdragon, more RAM, storage, etc. The Mi 4s comes in between the Mi 4 and the newly launched Mi 5 in terms of hardware specifications, notes N4BB. Last year was a good year for Xiaomi as it fared well by a whopping sale of 70 million handsets. Although the company did face some trouble achieving goals, as it took two years to launch the new Mi 5, which should help improve sales in 2016. The Mi 4s bears a 5-inch 1080 display having a pixel density of 441 ppi. A Hexa-core Qualcomm Snapdragon 808 processor is used to power the smartphone and it is paired it with 3GB RAM. Adreno 418 GPU is used for better graphics as well as 64GB of internal storage is included. The device also supports expandable storage option (via a microSD). Xiaomi Mi 4s has 13MP rear camera with features like dual-tone LED flash and Phase detection auto-focus are incorporated. While on the front-side 5MP snapper is located. The device is backed by the 3260mAh battery with Quick Charge 2.0 and USB Type-C connector. Following the current trend in the smartphone industry, a Fingerprint scanner is also included with Infrared sensor in the handset. The unit also supports Dual-SIM feature and runs on Android 6.0 Marshmallow with MIUI 7 on top of it. As for the build, the device fuses metal with glass on the back and front. Xiaomi Mi 4s will hit the market shelves on Mar. 1 with a price tag of CNY 1, 699 ($260). It is available in Gold, Black, Purple, and White and it will be first launched in China. The company also unveiled the much-awaited 2016 flagship device, the Mi 5, at MWC 2016.